Absorption Corp is a leading manufacturer of Absorbent natural fiber, organic “Absorbent” products. Established in 1985, the company has developed a highly effective organic wood fiber cellulose product line that is ideal for environmental protection, liquid spill control, and cleanup operations. Organic type Absorbent products are more efficient, as fewer products are required to complete a clean up task than the synthetic (polypropylene) or mineral (clay) based products. 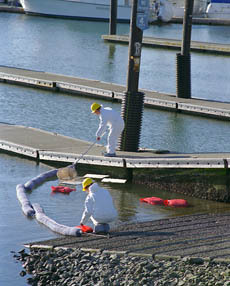 The Instant Absorption of spilled liquids results in a fast recovery from a Spill, with less labor hours spent on the job. Environmentally acceptable disposal options include direct burial, incineration, and bioremediation.